I’m updating this because it has become the most commented blog post on here! That tells me a lot of people are still getting scammed. It’s so disheartening to hear and I’m sure scammers are updating their tactics all the time. We get so many emails and messages wondering where we got our frenchies and I always reply to every single one because I know how hard it is finding a reputable breeder. The best way to find a french bulldog puppy is from a referral and recommendation from someone you may know. (Read our interview with our french bulldog breeder Ali here.) I would advise against finding a breeder online or a pet store without speaking to someone who has previously had experience with them. ASK THE BREEDER FOR REFERRALS. Because french bulldogs are one of the most popular dogs in the world and the demand for them has grown exponentially, puppy scams have grown also–let’s not forget the high price tag too. These individuals have been around for quite some time, and their cases have been on a steady rise over the past few years. The current crop of scam breeders have mastered their trade so much that even the smartest online shopper can fall prey. With fictitious puppies, they will ask for a deposit, generally via Western Union, and run off, never to be heard or seen again. Some even create fancy websites with lots of ads and stolen dog photos to scam unsuspecting pet lovers. To Stay Away From Them, It’s Important That You Understand Their Tricks and Stay Away. Considering that a healthy frenchie can cost $2,500 or even more, their emergence isn’t a surprise. However, you will need to know that almost all scam breeders don’t necessarily reside in the US or Canada. That’s why they prefer Paypal or Western Union instead of physical transactions. That should serve as your first sign that such a seller is a scammer and that you should immediately delete and move on. If a breeder is charging less than $2k, my red flag signals are going up. Do not believe those websites that say they are offering a 50% off sale. They are trying to create urgency and a “special deal” to lure you in. One other trait common among scam breeders is their location. They mention a less accessible, perhaps remote, location in the US so that it becomes hard for both of you to meet. Some will even use the typical “Only one remaining” trick to pressure you into making a decision and sending the cash. 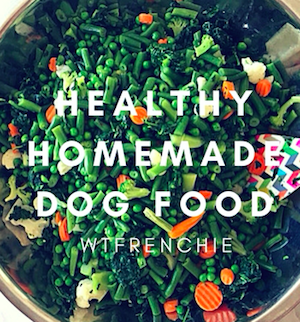 Some can post ridiculously low prices and promise to bring the dog right to your doorstep. My friend was looking for a french bulldog puppy for her mom and started looking around online and many of the “breeders'” emails were written with poor grammar and stock responses. Many use the tactic of “we only ask for an adoption fee of $500” and of course, through Paypal… two sellers she emailed had the same exact copy & paste message but different emails/names! Ask to Skype and video-chat with them. If they don’t reply, you have your answer. Trust your conscience. Please read all of the comments below left by helpful people (some who got scammed, unfortunately). Is A French Bulldog For Me? Hello, I have been following you all on Instagram for quite some time. Absolutely love all of your posts as well as your great information. We have an amazing Frenchie “Chloe” that cpuld be a twin to your older dog. We have been lucky enough to have Chloe, 3 Pugs and a Chihuahua that have had happy and healthy lives. The Pugs have passed away and my Daughter has the Chihuahua ay her home. 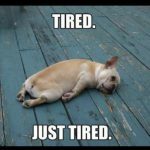 We are looking for a French Bulldog puppy and appreciate all of your advice and suggestions in your blog. Please, do not sell or buy dogs to this individual. So far we found 3 people from overseas who were scammed by him. His routine is to cancel the payment as soon as he gets dog in him possession. Dog kept in a dreadful conditions, getting sick but not getting any veterinarian assistance. One of the dogs he shipped died in a carafe last summer before help got there. Please, share! We need more people to get him out off our community!!! Personally I’d only ever buy a dog if I’m able to meet it physically first… I can’t believe that people would actually send someone huge sums of money over the internet for a dog without even seeing it first. Hi, great info. I am looking for a frenchie for our family. Not sure how to find one due to all the scamming. Could you check the website I’ve included to see if it’s a scam. And is there a french bulldog site you recommend. Thanks so much. Hello – do you know anything about this website? My daughter has been communicating with them in purchasing a Frenchie for only $700, which is concerning. Hi Donna- I would honestly stay away. That is way too low which definitely raises red flags! They are definitely a scam. I refused to pay online or ship a dog via airplane. They were very quick to want me to pay online and extremely attentive until I said I wanted to meet the puppies in person. They weren’t expecting me to be willing to drive 12 hours and told me this just doesn’t work for them. Called them out on it too…instead we have found an adoption option. Good luck!!! I contacted Sera too for a French bulldog. Did you get a puppy from them? They told me it’s $100 for shipping which is crazy low and $600 for the French bulldog puppy. Do you think this is a scam too? I would appreciate any kind of feedback you can give me thank you so much! http://www.bestfrenchbulldogkennels.com/contact.html has anyone ever heard of them? They are located in El Paso Texas, Any Help is very much appreciated. 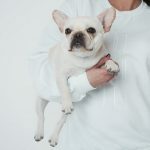 Have anybody purchased from frenchiesandminifrenchies before? Are they a scam? Looking into buying a French bulldog and the breeder told me 950$ for the puppy. Shipping him would cost 250$ but hen said shipping was free since he had three out of five puppies left. Also says he uses a shipping agency that will carry the puppy on the plane. The website is smart home French bulldog. Does anyone know anything about this breeder. He has sent photos and video of the puppy. Did you find anything out about smart home French bulldogs? I have been talking to them but was worried it was to good to be true. Have you heard anything back from them ? We emailed back and forth and I didn’t see any red flags because of how incredibly detailed the emails where that also included 10 unique photos of the puppy and a home video. He eventually lead me to a western union where he received $750 of my grandmothers money even gave me an invoice with all his information on it. After he said he would get back to me with my dogs flight information which is when i started to receive calls from “Virgin pet airlines” saying he needs a special crate and this would cost me $1600 . Luckily I started researching and ended the scam before the second transaction. There are tons of online sites like this that look legitimate. The phone numbers used are not traceable from what I have looked into. If I could stop one other family this Christmas from being scammed then this will all be worth it. Thank you for your post. I was working with these people today and felt it was a scam. Now I know no more communication. Thank you for saving us from being a victim. Oh my gosh! I just messaged them and it showed they live in Chicago so I asked to come see them. Thank you for sharing this information!!! They also have another website!! I’m so glad I saw your post! You saved me from losing $750! Thank you!! They also emailed me multiple photos of the dog we wanted along with the home video of two of them playing. I was talking to these people. They said they were located in Myrtle Beach, SC. Then when I contacted them they said they were in Ohio. Itold them I saw where they were in South Carolina and I was only a couple of hours away, and I would come pick up the puppy. They quit answering my emails. They wouldn’t talk to me anymore. At least they didn’t get ant of my money. It’s a shame to do people like this..
Has anyone ever used Puppynear.com? Just FYI, I got the idea to use reverse photo lookup from this super helpful post, and with one image, I found five separate fake scammer sites all using that same photo! I’m pissed because I emailed one of the sites this morning. Have not heard back, but I’m mad that the idiots now have my contact info. If its too good to believe, it always is. I have been searching for a French bulldog and last night I contacted a site called barret impressive frenchies. For 500 and 167 in shipping. He said I could have the little girl by Christmas. We live in Michigan and they’re in Dallas TX. I google earthed they’re address and nothing comes up. I just called him and he was very vague with my questions and after asking what vet the pups go to and other references, he said he had to let me go and call me back in 15 minutes. I haven’t heard back as of yet but, I guess my questions are has anyone heard of this site or have any good tips for questions to ask them. My husband and I are very wary and nervous. I asked him why the puppies were so cheap (shes champion blood line) he responded with it isnt about the money?! Please help..
Hello- has anyone responded to you about Barrett? I also reached out last evening and got the same story. He sent me additional pics and a video of the puppy we asked about. I also offered to fly there at my own expense (which he was willing) to see the puppy in person. I haven’t responded after seeing the video and decided to do some research. Your help is greatly appreciated! We are looking for a Frenchie for our daughters birthday and I found this website. They’re only $1000 plus shipping, seems relatively cheap. I emailed them and they were quick to respond. Any feedback greatly appreciated. Hello I am trying to purchase a French bulldog. 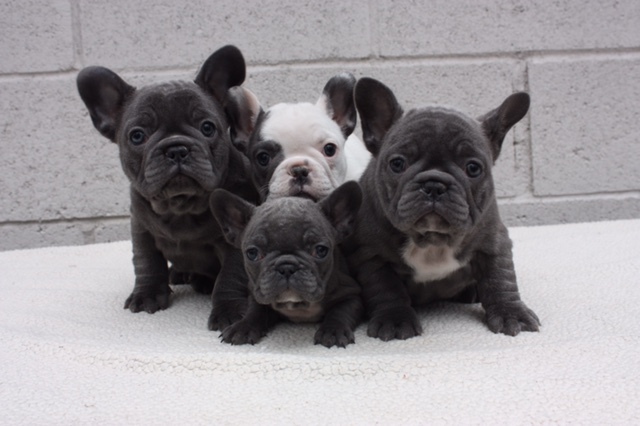 Online from smart home French bulldogs , they are having a 50% off all pups and I will pay $980 for a female pup plus free shipping. This raises red flags. Any feed back or advice anyone could give me ? So my boyfriend and I purchased a puppy recently and we were no super smart about it but the guy did give us a bill of sale and both of us signed it so should we be worried that the puppy won’t show up? It has the dogs registration number and it’s parents numbers… I felt really good about the whole deal until now.. should we be worried? Where did you go through? funny enough I was also looking at them today and have had a few emails back and forth. Have you heard anything back from them? I’m interested in Bluehill as well. I on the fence if they’re legit or not. I want Thor but want more details on him. I also googled the company and they had 12 complaints with the BBB. I can’t see what it’s about though. I also was interested in Thor! They pressure me for the $500 deposit and said I needed to send it in 30 minutes. I asked for a current picture of him with a paper next to him with today’s date due to scams I wanted to verify they had him with them. Immediately they told me he was just sold. Definitely a scam site! Wow this is crazy!! I also wanted Thor!! I live in Cincinnati, OH and emailed them, received and email back that seemed legit. They asked me many questions saying they do not just sell their puppies to anyone, so I responded to the email and received no response. I then texted a few days later asking if Thor was sold, and they said some man was on his way to get Thor that day, but if I sent them a $500 deposit, I could hold Thor before the guy got there. I asked them if I could FaceTime Thor and see current pictures before I send a deposit and drive 3 hours, and the person immediately got irate through text and told me why do I need pics when she looks the exact same as the pics on the site. I then called the lady out for being a scam, and we argued back and forth. I looked on their site a few days ago and Thor was still on there as available, but his birthdate has been changed to a more current date! They are definitely a scam and would advise everyone to stay away. Does anyone know anything about https://frenchifarm.com/available-puppies.html ? They claim to be in Michigan near Detroit. $600 for an 11 week old puppy. I’m looking at a Frenchie puppy, in contact with French Bulldog Lovers with contact info in Williamsport, PA.
And deliver to my door. Seeing several flags, have you heard of them? Hi Pam and Justin and anyone else..
Bluehillfrenchbulldogs and positivefrenchbulldogs are Scammers!!!!! They SCAMMED me out of $500. I called police. Has anyone used Luxuriousbabiez? I just spoke to the breeder on the phone & he answered my questions without hesitation, but the price point is so incredibly low ($600). Says they have another litter coming soon which is why they’ve discounted. I would have assumed if it was a scammer then they wouldn’t have called me when requested or been able to answer without hesitation. Thoughts? Hi, im also on the hunt for a reasonably priced Frenchie and have come across a few sites i feel to be scams.. one is Greenland French Bulldog and the other was Daniels Fenchbulldogs i believe.. i was just curious if anyone has had any luck or not with any of the classified listings, one of which is Hoobly.. ive seen some listings that just strike me as a scam but some seem realistic but the prices are are reasonable. Of course the listing would usually say the pups arent registered and so i just wonder if anyone has had any experience with classifieds and their input. Thanks! I was also wondering about them. We’ve had emails back and forth and they’re accepted payment forms are Moneygram, Walmart,and Bitcoin. Still unsure. That’s alot of money to just send and “trust” the unknown. Did you receive any clarity on Greenland French Bulldog Pupshome? Neville French bulldogs home? Their pups are 50% off making them $995. Shipping to Ohio would be $150z Anyone think this is a scam? I would like to know about this place, too. I sent an email inquiry this morning regarding a pup and gave information about our family as a potential new home. A seemingly copy and pasted reply came back within 15 minutes and didn’t acknowledge anything I asked about in my email. Here’s the reply I got ‘Thanks for your interest regarding our French Bulldogs, puppies are 11 And 12 weeks old with a life expectancy of 12-14yrs. two of our puppies so i hope you do not mind. will make you happy in return. We are based in Austin, TX . If you will not be able to make the trip then we will have to ship the puppy over to you. *FOR A TOTAL OF $150. Anyone have experience with ‘Neville French bulldog home’ ?? Hi- just from reading their email, there seem to be some grammatical errors. Sounds like they could be from foreign country. A lot of these scammers are based overseas and pretend to be in the US. I engaged today with the same company – Neville French Bulldog Home – I was interested in a puppy names Alex on their website. I received the same EXACT email, then when I said that I can’t engage b/c they are in TX (I’m in Virginia), they asked to speak with me, The man had broken English – sounds French (go figure). I asked if we could FaceTime or video chat so I could see Alex, he said we can’t do that until AFTER i make the $300 deposit via the website. I asked who are Alex’s parents – he said the parents are not on the website. I asked other questions about Alex that he fumbled around to answer. I asked if we could make the deposit AFTER video chat, then he said he has 3 other ppl interested in Alex – first come, first served, so unless I make the deposit TODAY, I will lose Alex. After we got off the phone, i sent him a text stating that we will REQUIRE the following BEFORE making ANY deposit: Additional photos of Alex, with a piece of paper w/todays date written on there to confirm he has the puppy and the puppy is as advertised. Also also said we require video chat to SEE Alex AND BOTH of Alex’s parents. I haven’t heard back – the communication went from being super attentive to nothing at all. After reading about how to tell a scam – i copied/pasted the entire “About” section into Google search, and it appears that exact copy was stolen from another website. Total scam…learned my lesson- glad I did before giving these jerks $300. From now on, we will only be engaging with legit breeders we can visit in person. Copying and pasting the About page- good tip!! Thanks for sharing your story and helping others not fall into this trap. OMG, I JUST EMAILED THEM TODAY TOO. Same email reply. I was also looking at Alex. Same here. It seems to be a scam. I received the same email back with pictures and everything. How can we report these people to the authorities? I inquired as well and got the same reply as Lindsey. Weird that they do not have a facebook page, nor any type of physical address. I searched the names on the testimonial page and reached out to the only one that I could find. Waiting to hear back. I know a couple people in Austin and plan on having them go by , if possible, prior to purchasing. Cute pups and seems too good to be true. the guy seemed very personable, didn’t ask me for any information or down payments. But the price of $750 was bothering me a little and raising red flags. any suggestions ? So we were looking into the ultimate frenchie puppies as well and are pretty confused. The price is apparently $950 including flight and they want a western union transaction. They sent additional pics of the puppy that we’re interested in as well as a short video clip but still doesn’t feel right. Any suggestions? Hi- I wouldn’t recommend Western Union. Once you send the money, there is no protection or insurance on your end. If that is the only form of payment they accept, that’s a red flag. Has anyone used iluvfrenchies located in Ky? I came across a site Kenny french bulldogs. Tons of red flags. Horrible spelling and grammar errors. Puppies are $600. Free shipping because they have a “coupon” with the shipping agent. They sent me two emails of two different puppies I was asking about. They had really nice pictures. Then I looked at the details. On one web page the puppies were different ages. On the emails though, they were both 12 weeks and 5 day old. Huh! Stay away!!?!! i am so glad to have found this page and discussion thread as we are contemplating getting a second frenchie for our family. unfortunately, our sweet 2.5 year old frenchie has already undergone stemcell surgery and will likely have another in his future, which is heart-breaking. i am embarrassed to say that i missed the red flags, even though i thought i was dealing with an ethical breeder. i’ll also add that winning awards for kennel standards/excellence doesn’t mean a thing to me knowing what i now know about this breeder. even with a one year health guarantee, there was no way i’d exchange our babydog for another from a less-than-honest breeder. though we took our new puppy to our vet and he looked healthy upon inspection, his multiple health issues could only be identified through x-ray. i now have a list of questions / prerequisites before i will even consider supporting any future frechie breeder! i’d hope that someone who loves their dogs would want to home them to folks who care enough to have a thorough list of questions for the breeder. i want a breeder that treats their puppies as though they were keeping them. Oh Emily! My heart breaks for you, we are with you! Cooper has had life-saving surgery, pyloric stenosis, blocked nares, soft-palett surgery, IVV Disease, Cold laser therapy- it’s is heart-wrenching . Ours was a reputable “loving” breeder :(. It’s horrible. My little Momma who bred for Petland is 13 years old & in great health though. i don’t want to pay an arm and a leg for a frechie, but after lots of looking, i would be wary of any costing less than $2.5k. here’s a list of the questions that i ask on the front end. while not everyone may think them important, they are necessary for my quest in finding a healthy, happy frenchie! how many litters do y’all have a year? do you raise other breeds? are the parents and puppies indoors with your family (other than outside playtime)? have you ever re-homed one of your mamas? would it be okay to visit your home? Hi Everyone, I have to share, quite honestly, Frenchies are a high maintenance, high end breed. Do not go in realistically expecting to find quality breeding and good health for under $2,000. They are dealt a rough hand structurally, believe me I know what I am saying. I have two, one AKC, champion blood-lines, show quality and one a puppy mill rescue momma. Our boy has cost us over $10,000 grand in surgeries, etc. Our female is 13 & she is not the age “norm”. They have the best of everything and literally monthly maintenance is at least $300 for food alone. They are not “bargain” dogs- do your homework, save up, be prepared! The are the most amazing dog ever but as with everything, you get what you pay for. I saw that and I am thinking the same thing. I have also been calling them and the number they provide is a text mail subscriber number. its a scam dont do it. Anyone hear or know of purexfrenchbulldog.com? We found two very cute Frenchies listed with Garden of Frenchies. “Clem” was going to give us a real deal for $1300 total for both and that included the $300 air fare. They would be delivered to our front door as soon as we sent the money via MoneyGram. We are afraid this is a scam. We wanted Ann and Luna. Have you heard of this place? Has anyone had experience with Garden of Frenchies and dealt with “Clem”? I have been in touch with Kimfrenchiesin Minnesota Or Wisconsin, anyone have any information on this site, just from my correspondence with them and them asking for Western Union money, and they will fly the dog to New Jersey and have it delivered directly to my home. Emailed them a question; and got a response with a lot of info quickly. Then one shortly after saying the puppy we asked about sold. They didn’t pressure or ask for payment rather asked that we guarantee a good home for the puppy. Located in or around Detroit. Yes I was just scammed by purexfrenchbulldog. I sent 500 before it dawned on me to look up the address he gave me today and when I did the address was on Zillow and realator . Com for rent The house was vacant and I was glad that zelle has a limit to first time money recipients. Also smart frenchie bulldog was a scam. I didn’t fall for but asked to see today newspaper and they never replied. I am using AKC Merritt breeders list going forward. Good luck guys. Was wondering if you have heard of Meg House Frenchies ? Any feedback that could provide would be greatly appreciated. In Austin Texas too and would come right over .. he said I had to pay 450$ Deposit for his address .. I told him that made no sense what so ever I just wanted to look at the puppies and would bring cash .. now he isn’t responding .. how do we report these people ? Was scammed once before. Does anyone know about Magnum French bulldogs? They seam to be the real thing but want to be sure! 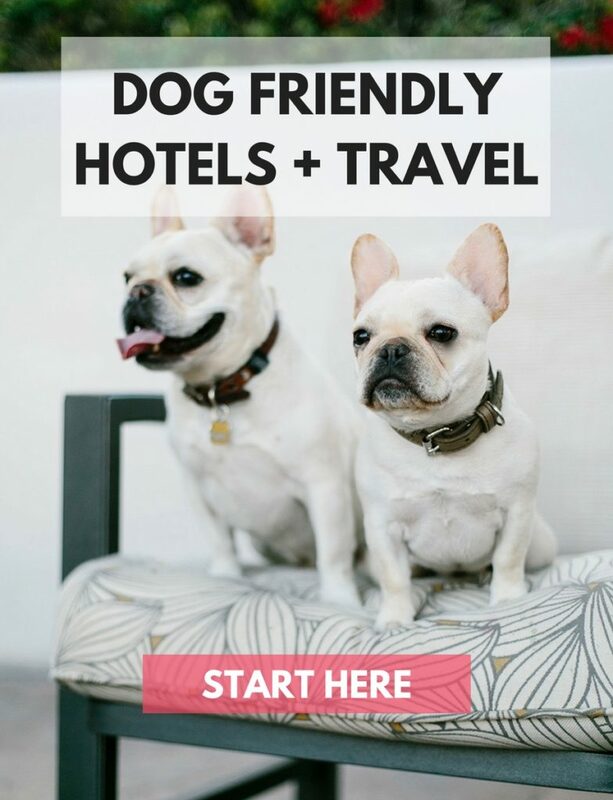 The website looks legitimate, and they even have an Instagram account but they charge only $850 per pup. The low price and free shipping makes me skeptical, but the website is well written and put together. Could definitely use some advice! Thanks! Sounds like a scam. Ask for pictures with a current news paper or to FaceTime with them to see the dogs. Magnum French Bulldogs is a real site, check them out to see the difference. Livifrenchbulldogs is a scam. They are asking 500 dollars for puppies thg at are 11 weeks old. I found some of the pictures online used in previous scams. Hello, i would like to let everyone knows that are looking for a frenchy to be aware of dreamlandfrenchbullies.com, they’re supposedly have 17 years ecprerienced. It is a SCAM. It will tell you that the puppies are 50% promotional discount this week only for $750.00 plus $150.00 for shipping. Onnthe day of the shipment, the supposedly xtraswifttransport company vets will asked you to pay $850 or $1,800 for special air conditioning crate or else the puppy will not be teleased by the vets to travel. The free of course is refundable, when you send the $850.00 via western union they would asked you to send another$960.00 for the $1,800.00 because again the vets so called advice. Halfway through the flight to your state an email from state treasury payout will be in your email telling you that the puppy has been quarantined because the insurance has expired. That you have to provide an insurance which of course is ‘refundable’ for at least $1,500.00 by the shipping company, the email content- Tge pet safety commission of IL, USA wish to inform you that there is a French Bulldog puppy here at our quarantine department in IL destined to be delivered to you in PA . We got this puppy in a plane coming in from MI destined for PA . On checking the documents of the puppy, we saw that all the documents are ok but there is one problem being the live insurance of the puppy . The insurance expired . The insurance backs up the health of the puppy in case of sickness, accident or dead in the course of transportation and when your puppy arrives safely, all the insurance fee is refunded back to you . We thus see no need why any pet should travel without an insurance . According to the laws of IL,no transit pet can pass through IL without a valid insurance . Contact the transportation agency for the insurance to be updated . All insurances are refundable so there is no need sending the puppy to another state without a valid insurance . Please treat this as a matter of urgency else we may have the puppy qurantined and sent to a pet rescue group and report you people for pet abuse . Once you sent the money again via western union, they’ll make you a shipping insurance form but the stamps are needed and the office has to get it the following day. The next day they’ll send you via email a copy of the insurance with stamped then again an email from statestreasury payout that said-‘We wish to let you know that we just received the insurance for your puppy . The puppy has been here for above 12 hours and has accumuliated a feeding and accomodation fee of 300 Dollars . The international vaccinations given to the puppy before departure in MI have aalso expired and thus we need to vaccinate the puppy again for 400 Dollars. ‘- This is where I stopped. Then an email was sent to me saying – ‘THen the puppy will be quarantined and auctioned. ‘ These people will only communicate via email, they will never call on the phone no matter how urgent their email sounds like and that includes the breeder. These people will take advantage of you. DO NOT DEAL WITH ANY OF THEM . IT IS A SCAM. I was taken advantage due to emotional vulnerability at this time. I already went to authorities, I doubt if I will get my money back, but I still would like to warn everybody. We already got a 6 month old Frenchy prior to this incident, she is so much fun that is why we look for another one but sadly I fell into the SCAM. Please don’t use Royal Blue Hills Frenchies because it is a scam! They are at 28 Gold Meadow Drive, Luis Center, OH 43035 number is 614 -505–4798. Unfortunately we did get Scammed . Do your due diligence. The names were Kamara Sinneh and Almamy Jaholl Kaba. +1 (614) 972-2023 These are their numbers. I’m so glad I came across this website. We have been texting back and forth with royal blue Frenchies. We were interested in either Thor or Ruth. I live in PA but asked them if they would be available for a visit from a family member of ours who lived 20 mins away in hopes to make a better decision on which pup would fit in best with our family. I did text at 915pm but was wondering why I got no response. Hubby thought maybe I text them back too late in the evening and they were asleep. So glad I did some research. Anybody have any reputable breeders in PA or in surrounding areas??? Has anyone ever done business with championship frenchies from Ga? I had emailed this guy back and forth, but they are from Rhode Island. it was too good to be true. the dog prices was $600. Anyone know if this website is a scam? Does anyone every heard about championshipfrenchies.com? The prices are $600. Don’t want to get scammed and this is my present for beating cancer. I am currently going back and forth with them through email. They state they live in alpherreta ga and take payment through zelle pay and money gram. I feel that it is a scam because of grammar errors and a very rude opening in the email. Funny thing is I am actually going to be in Ga in 4 weeks. I asked if I could come directly to them once I land, I haven’t heard back yet, I will update if I do hear back. UPDATE: They are a scam. Google image searched the photos and they come up on a few scam sites mentioned on here!